Though I’d always been interested in movies and how they are made, I’ve strangely never felt the need to be the one that sits down and talks to filmmakers, actors, and production crew to get the skinny on what efforts went into making the film. I figured I’d leave that to those with a bigger vocabulary, better follow-up questions, and less inclination to get too star-struck. However, in my time as a Midwest movie critic I’ve had several opportunities to have some face to face conversations with the actors and/or creative personnel and found that I’ve started to enjoy the chance to ask the questions I, as a critic and more importantly a fan, wanted to know. This latest interview with three of the stars of Everybody Wants Some!! felt like I had snagged an invitation to the cool kids table. Here were three handsome actors on the rise that had a unique experience in making the film and though one of them appeared a little sleepy (understandably so) when they stopped by the Hard Rock Cafe in the Mall of America, all three were gracious with their time and thoughtful in their responses. They may have been asked similar questions on their whirlwind promotional tour but they sure made their answers feel individualized and not the least bit like a canned reply dictated by their studio. In a group interview with fellow local critics Ryan Sanderson of Minnesota Connected, Paul McGuire Grimes of Paul’s Trip to the Movies, and Jonathon Sharp of WCCO, Ryan Guzman (The Boy Next Door, Jem and the Holograms), Tyler Hoechlin (best known for MTV’s Teen Wolf), and Blake Jenner (TV’s Glee and Supergirl) reflected on their time on the set of Everybody Wants Some! !, what it was like to work with director Richard Linklater, how they prepared for their roles as college kids in the days before school begins, and what they took away from the process. Everybody Wants Some!! is being promoted as a “spiritual sequel” to Linklater’s cult favorite from 1993, Dazed and Confused. While Dazed takes place on the last day of high school in 1976, EWS!! follows a team of college baseball players over the course of a long weekend in 1980 before school starts up again. 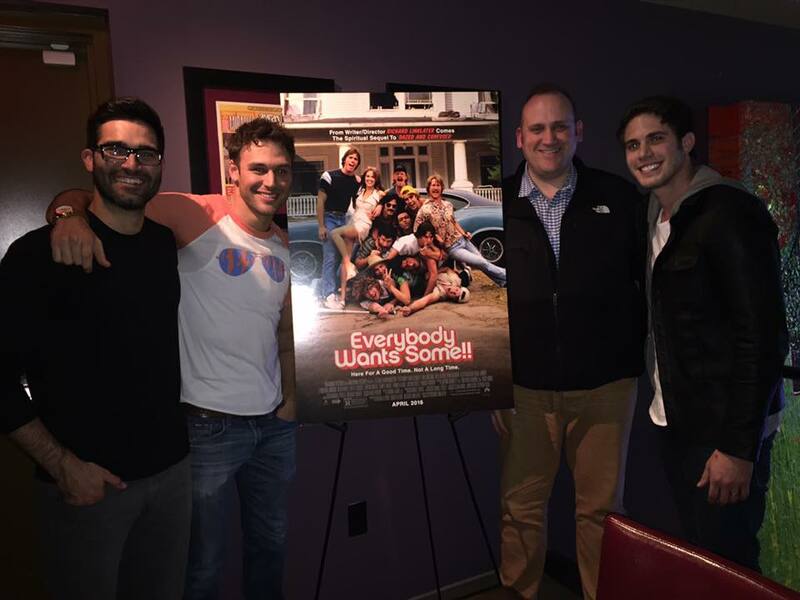 Read my review of Everybody Wants Some! !